UNITED NATIONS, Sept 16 (APP): The United Nations refugee agency said that more than some six million school-age children under its mandate have no school go to and that refugees are five times more likely to be out of school than the global average. 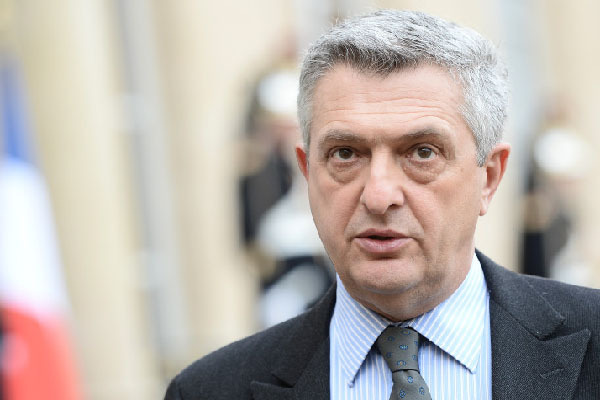 “This represents a crisis for millions of refugee children,” UN High Commissioner for Refugees Filippo Grandi said in a statement issued by his Office (UNHCR). These findings are particularly pertinent as next week, global leaders will be gathering in new York for two major relevant meetings: the UN General Assembly’s Summit for Refugees and Migrants on 19 September, and, the very next day, a Leaders’ Summit on the Global Refugee Crisis, hosted by United States President Barack Obama. In a press releasre, UNCHR said that at both summits, it will call on governments, donors, humanitarian agencies and development partners, as well as private-sector partners, to strengthen their commitment to ensuring that every child receives a quality education. “Underlining the discussions will be the target of Sustainable Development Goal 4, [to] ensure inclusive and quality education for all and promote lifelong learning,” an aim that will not be realized by 2030 without meeting the education needs of vulnerable populations, including refugees and other forcibly displaced people,”the UN agency stressed. Exemplified by the crisis in Syria, the report further shows how conflict has the potential to reverse positive education trends. Presenting the figures, the UN agency notes that while in 2009, 94 per cent of Syrian children attended primary and lower secondary school, by June 2016, only 60 per cent are in school, leaving 2.1 million children and adolescents without access to education in the country. In neighbouring countries, more than 4.8 million Syrian refugees are registered with the agency, amongst them around 35 per cent are of school-age. In Turkey, only 39 per cent of school-age refugee children and adolescents are enrolled in primary and secondary education, 40 per cent in Lebanon, and 70 per cent in Jordan. “This means that nearly 900,000 Syrian school-age refugee children and adolescents are not in school,” UNHCR notd.